If you think renting is going to much easier than buying a property, you are not wrong. 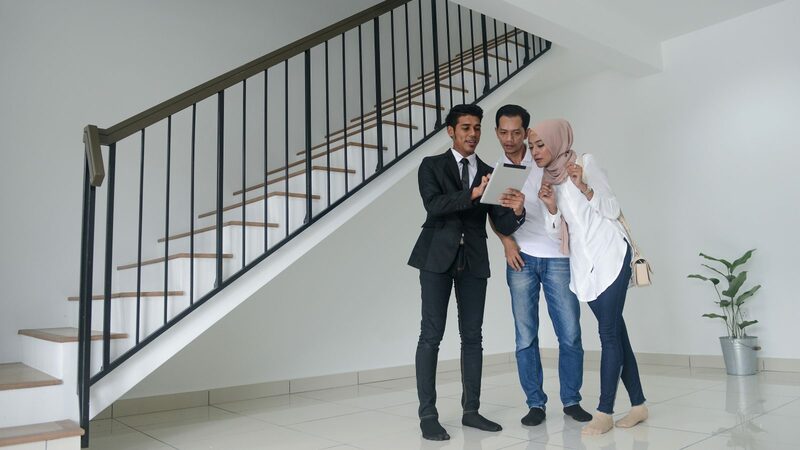 However, there are a few basic things first-timers need to equip themselves with before they start searching for a rental property. Are there any rental laws I should know about? At writing time, Parliament has yet to pass any comprehensive law covering landlord and tenant. Are you surprised? The only property-related act that was discussed and even abolished was the Control of Rent Act 1966 which applied to rent-controlled premises or “pre-war” buildings: those colonial buildings built before World War 2. However, it was recently announced that the housing ministry is planning to implement a Residential Tenancy Act in 2 years time. In the meantime, here’s a list of laws to familiarise yourself with: Contracts Act 1950; Civil Law Act 1956; Distress Act 1951; Specific Relief Act 1950; and Common Law/Case Law. Also, we do have a definition of a tenancy, according to Act 56 of the National Land Code 1965, which is a short-term agreement usually not more than three years. A tenancy agreement is simply a contract which spells out clearly all the terms and conditions regarding the rental of a certain property. This is signed by the landlord and client after a round of negotiations. A written agreement is not a must in law. For a tenancy to kick in; it can even be an oral agreement. But to be on the safe side, it is always advisable to have your tenancy in a written agreement. But once this paper is signed, both are bound by what is stipulated in the agreement and are expected to honour those terms. 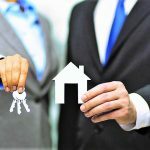 Some landlords may write their own tenancy agreements but best practice necessitates that a lawyer is the best person to do so, or in the case you are dealing with a moonshine version of it, ensure it is revised or reviewed by a professional. The goal is to ensure both parties are protected during the tenancy period. What should a tenancy agreement contain? Other than the legal fees and stamp duty, there are many other clauses under the tenancy agreement that you should pay attention to. Missing out on one of these important clauses can result in dispute or additional costs on your end. Use this checklist if you are a first-timer or on the lookout for a new unit. Just remember that time is always on your side and always resist the temptation to give into that sale-sy pitch of the real estate agent. 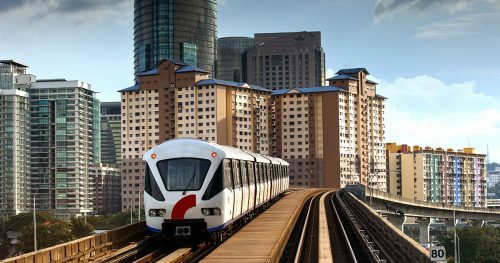 Since Malaysia abolished the Control of Rent Act 1966, homeowners and potential tenants can negotiate rental rates freely. 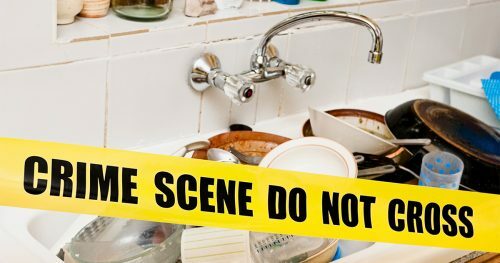 Usually, landlords will state the range they are looking for, and it is up to the tenants to comply or not. To ensure you are paying a fair rental, shop around and compare the rental of similar units within the same area, and negotiate accordingly. 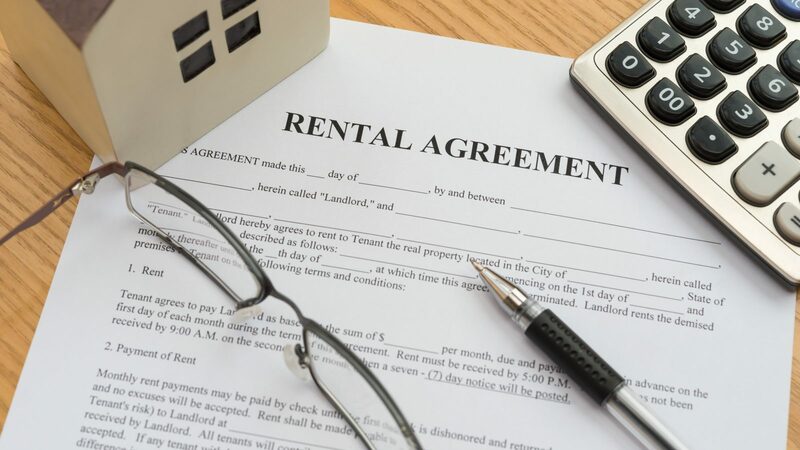 If you agree on a certain amount, your tenancy agreement should have a set date when the rent should be paid monthly. Most of the time, this happens at the end of the month, with a grace period of an additional seven days. This is also not set in stone as you could negotiate a date both you and your landlord can agree on, should you need to pay at a slightly later date every month. As its name suggests, this acts as an “insurance” of sorts for the landlord in case a tenant inflicts damages to his or her property. This encompasses any furniture provided during the tenancy period. Another reason for the deposit is to ensure the tenancy expires on an agree end-date. On the side of the landlord, if for whatever reason he needs the tenant to leave before the agreed date, the security deposit will be returned to the tenant. This applies on the tenant’s side, too – if he or she has to leave before the agreed date, the deposit is forfeited. The security deposit also protects the landlord in the event the tenant fails to pay his rent. 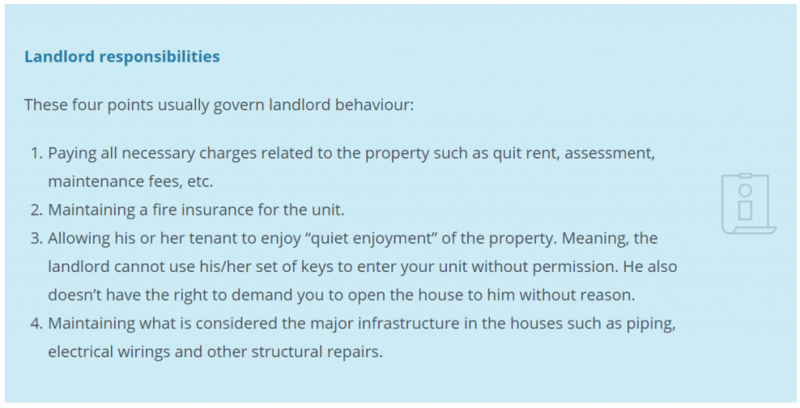 The terms and conditions governing the security deposit and its release are stipulated in the tenancy agreement and this also includes how many months’ notice a tenant should give the landlord before the natural expiry of the tenancy, as well as what should the landlord do if he or she is the initiator. 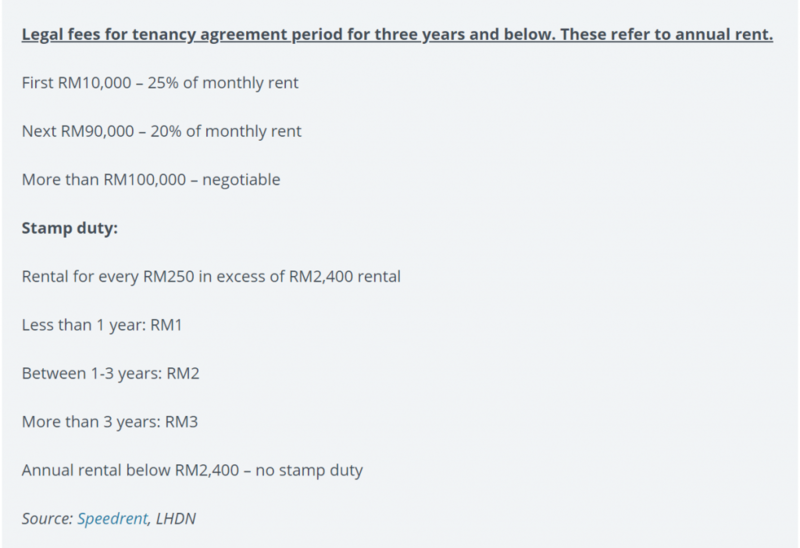 It is common in Malaysia for a security deposit to consist of two months’ gross rental and a half month’s rent for utilities. 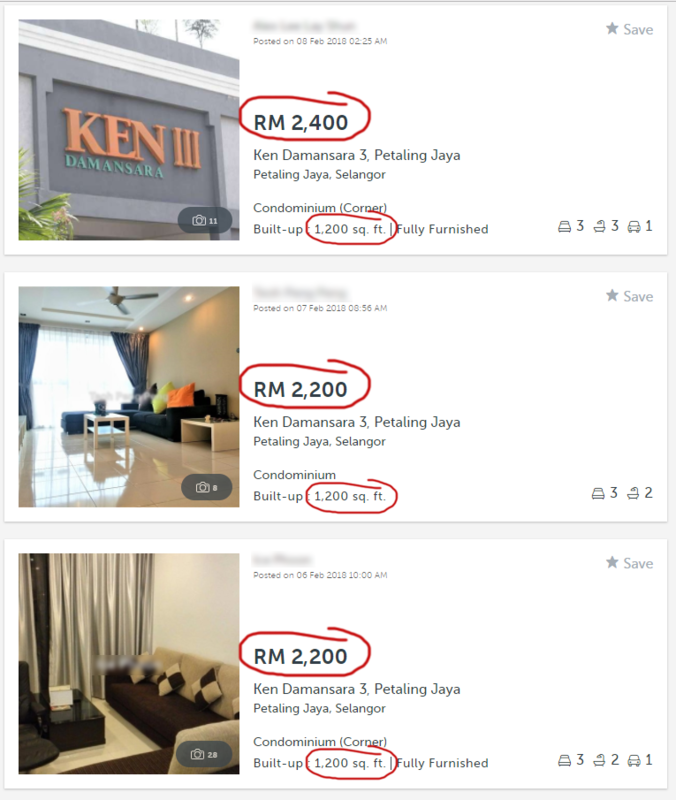 So, if your monthly rental is RM2,500, the security deposit will be RM6,250. The half month’s rent for utilities cover any outstanding utility bills left behind by the tenant. To protect yourself, always check the tenancy agreement thoroughly and iron out all the details before you pay any deposit. If you pay the deposit, even a certain percentage of it first, and then realised that you can’t live with some of the clauses set out in the agreement, your deposit can be forfeited. Ensure that in the tenancy agreement, the full name, IC/passport number, and address of both parties are available and accurate. This will serve as a reference should any problem arise with the tenancy. 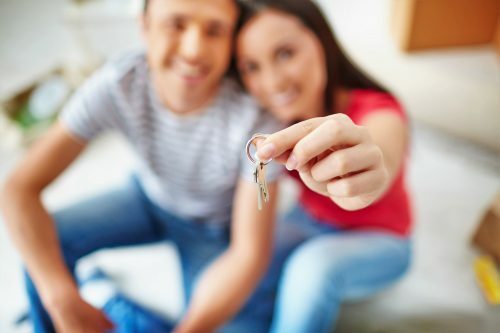 The date you are given the keys to your unit is the date the tenancy commences. The date you move out is the end date. In your agreement, this includes the notice period tenants should serve before moving out or if they want to renew the tenancy agreement. The sky’s the limit for this one. It can range from the number of people allowed to live in a unit to a “no pets” rental policy. If you are a smoker, you better check on that too. Usually these tie in with the requirements set by the unit’s joint management body. The best way to go about this is to hash out every single point with your landlord and negotiate the pain points, even if the landlord drops the default “standard agreement” line. Doing this avoids costly legal problems in the future. The payment method should also be specified in the agreement. For example, certain landlords prefer to collect the rental in cash at the unit, while others prefer to have the rental banked into their account. Most landlords are fine with online bank transfers and for good reason: hassle-free and trackable. But, on your end as a tenant, make sure you file the receipts in a timely manner, whether it’s a .pdf or hard copy. Can your landlord kick you out should you lapse in your monthly payment? Christopher Chan, associate director with Hartamas Real Estate Group, in an opinion piece covering tenancy laws, highlighted that it is unlawful for property owners to evict their tenants or recover possession of the house or room without a court order under Section 7(2) of the Specific Relief Act 1950. Landlords are also prohibited from resorting to extreme measures such as changing the locks or kicking out tenants without necessary court documents to show. And if they do so, they can be sued for trespassing by their tenants. 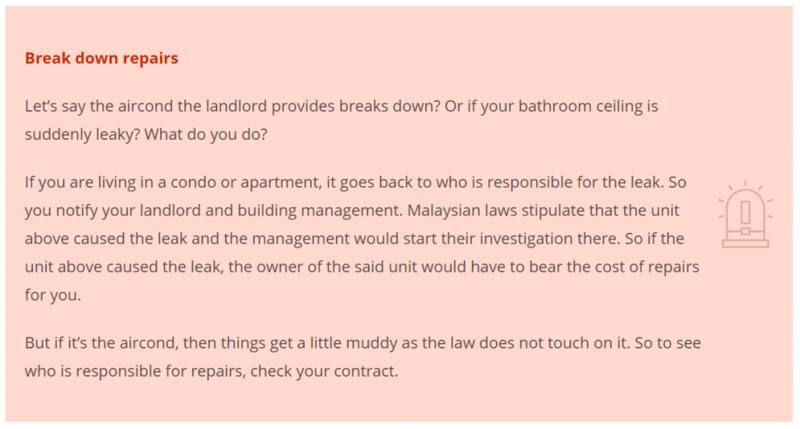 According to Chan, with the aid of a lawyer, the landlord should first give the tenant a notice to pay up. 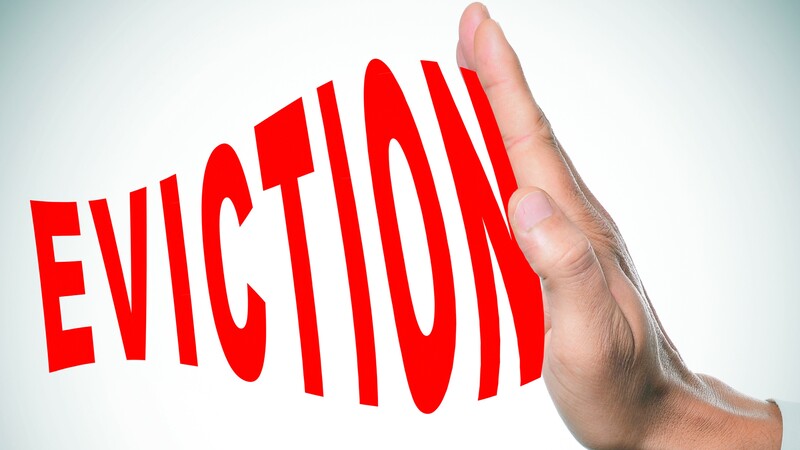 If the tenant fails to settle the arrears as agreed in the tenancy agreement, the landlord has to serve the tenant with a notice of termination and file a suit to obtain a court order. But that’s also why if you are the tenant to always ensure you meet those monthly payments in a timely manner because part of that transaction comes with having your own private space, even though it is not technically yours, to begin with. And what if something ugly rears its head such as being retrenched from your job? Contact your landlord and speak to them about it, because your landlord is just like you, the only difference is that these monthly rentals make up their monthly income.